Pair the keyboard with up to 3 Apple devices and quickly switch between them with the press of a button. Start typing on your Mac, then instantly switch to one of your other devices including iPad, iPhone or even Apple TV. Keys are sharp, bright, and always easy to read thanks to auto-adjusting illumination which dims or brightens depending on the amount of light in the room. Illumination is especially helpful when you need to type in the dark, for example in the bedroom or in the living room in front of the TV. USB rechargeability means you’ll never run out of power. 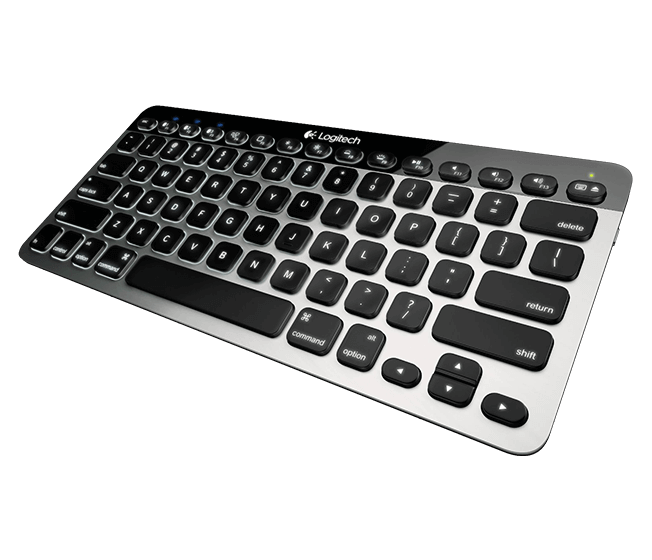 Easily top up the keyboard with the convenient USB cable and continue to work. Fast, flexible recharging has never been easier. - Replying to a text on your iPhone. - Searching for movies on your Apple TV. The fast, reliable connection allows you to move and type on the keyboard anywhere within 30 feet (9 meters) of your devices. Type easily in low light and even in the dark. 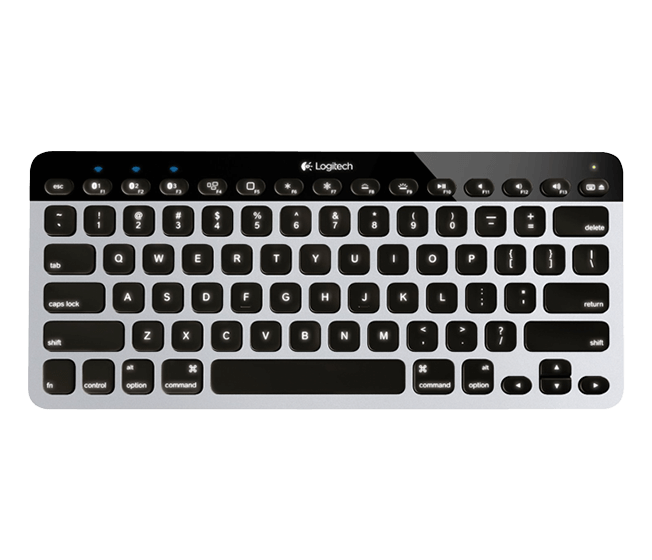 Back lighting ensures the keys always easy to read in any light – even if you use the keyboard in the bedroom or in the living room in front of the TV. Only the key characters are illuminated, so you see just what you need to see without distraction. A motion sensor detects your hands as they approach the keyboard and turns the backlight on/off to help you save power when you are not typing. The minimalist, cable-free design takes up much less space on your desk than a full-size keyboard. 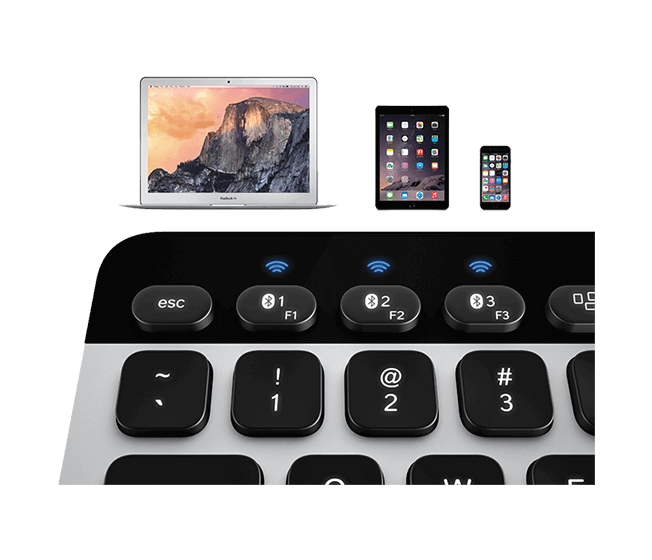 It also means you can easily bring the keyboard into the living room to use with Apple TV, and take it wherever you go with your Mac, iPad or iPhone. The real aluminum finish was designed to perfectly complement your Mac and the familiar layout features all the keys you’ve come to expect—Command, Brightness, Mission Control keys and more. 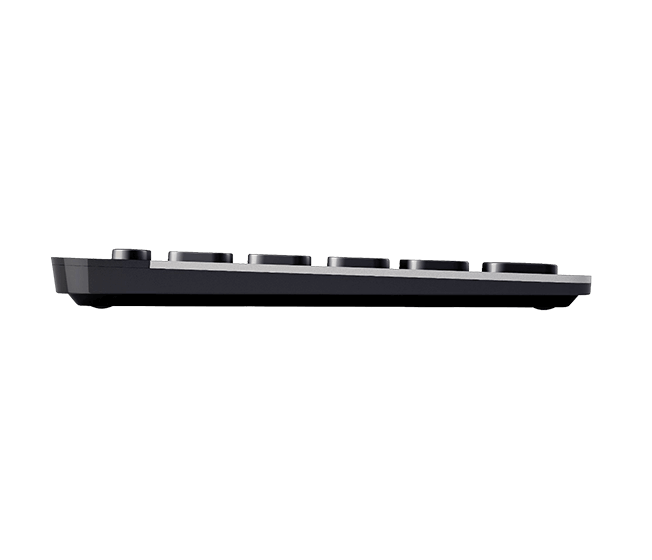 With sleek lines and low-profile keys, this slim keyboard will be a stylish addition to your workspace and living room. Type comfortably thanks to the unique Logitech keycap design. The concave key surface complements the natural profile of your fingertips and helps you better locate each key for an improved typing experience. The key edges are also softly rounded so your fingertips glide smoothly from key to key. The PerfectStroke key system distributes typing force evenly across the key surfaces making every keystroke quiet, natural and fluid—even if you strike the edge of a key. Actual battery life will vary with use, settings and environmental conditions. Allow 3 hours for a full charge.